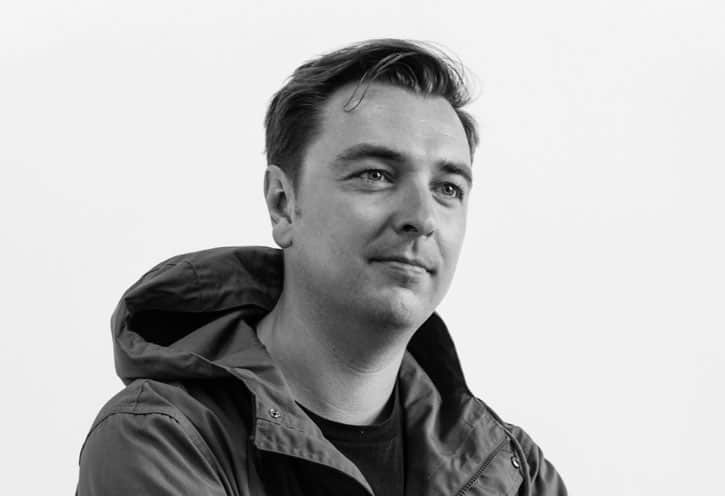 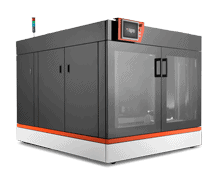 NOWLAB, the Innovation Consultancy at BigRep, developed the innovative Omni Platform as a 360° mobile industry platform for highly flexible applications in automated manufacturing environments and smart factories. 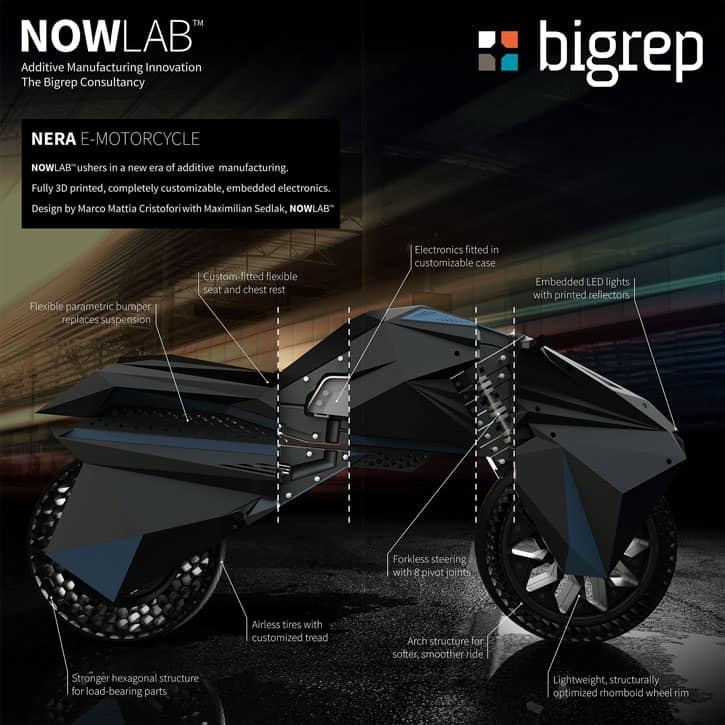 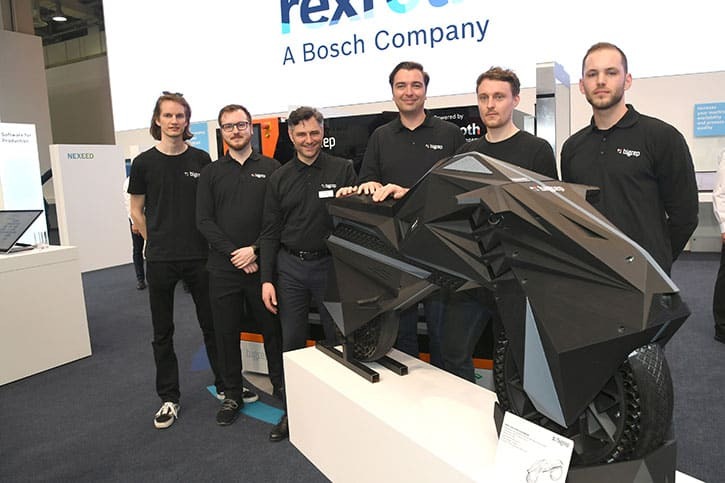 BigRep unveiled the NERA E-Motorcycle on November 13, 2018 at Formnext, and it went viral. 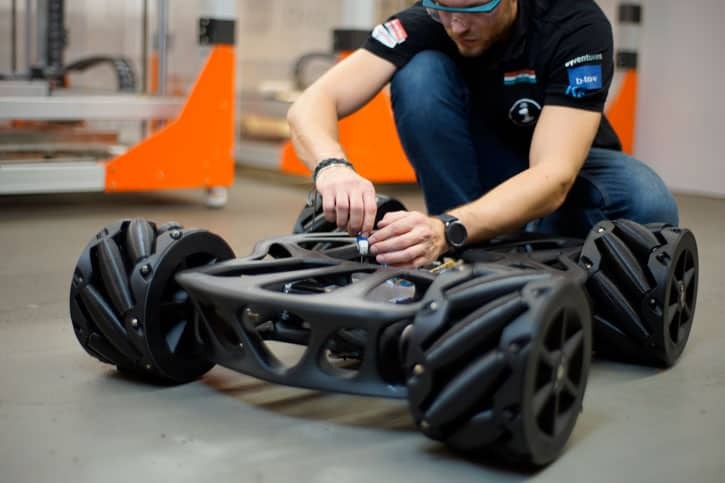 Now let’s take a deeper look at how the world’s first fully 3D-printed electric motorcycle came to be. 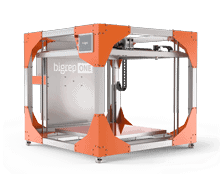 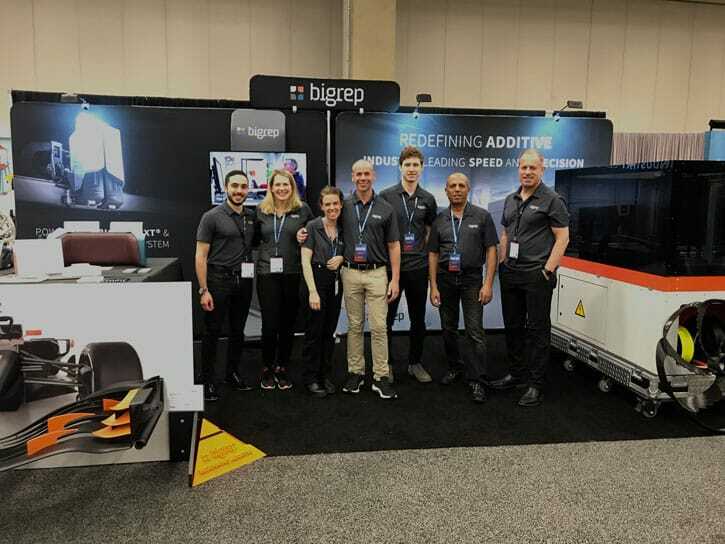 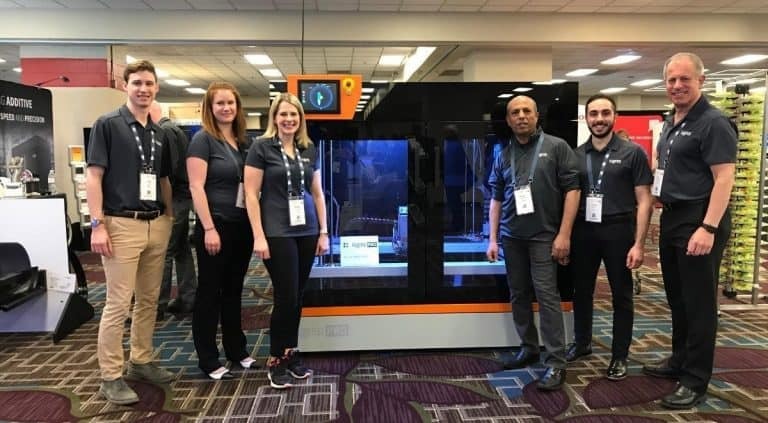 BigRep joined more than 6,000 makers, doers and innovators and 100 partners in Dallas, Texas at SOLIDWORKS World (SWW) 2019. 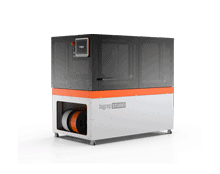 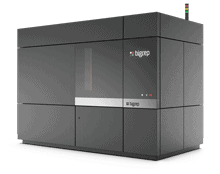 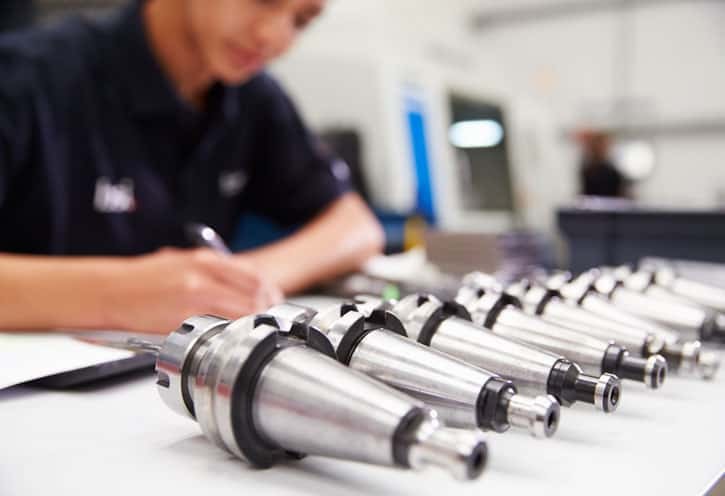 BigRep is proud to welcome Columbus Advanced Manufacturing Systems (CAMS) to the BigRep family.